Ben, this is about the s3cmci driver, so I guess you might be interested. second, 2 kByte per packet for a total of about 4 MBit transfer rate. 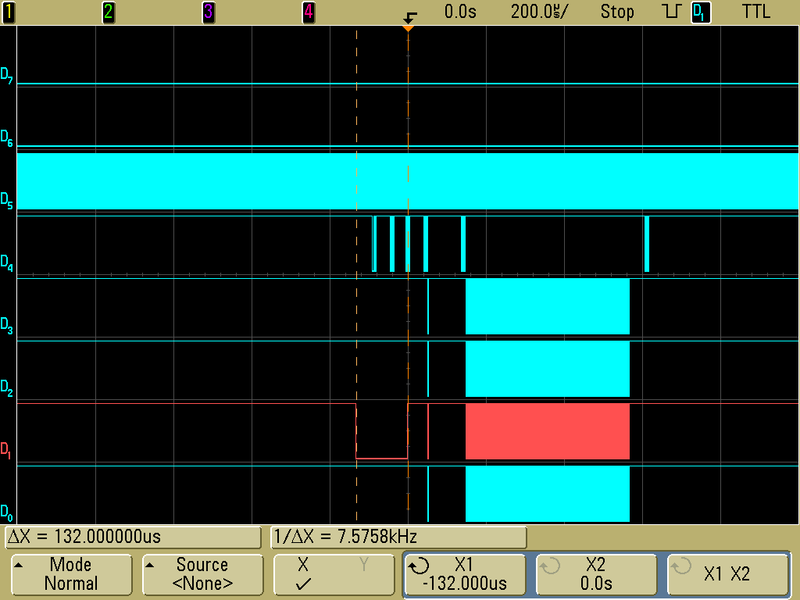 10 MHz just to avoid any errors when connecting the scope probes. D4 is the CMD line and D5 is the CLK line. D0 to D3 are the data lines. you can see the interrupt line going high again. 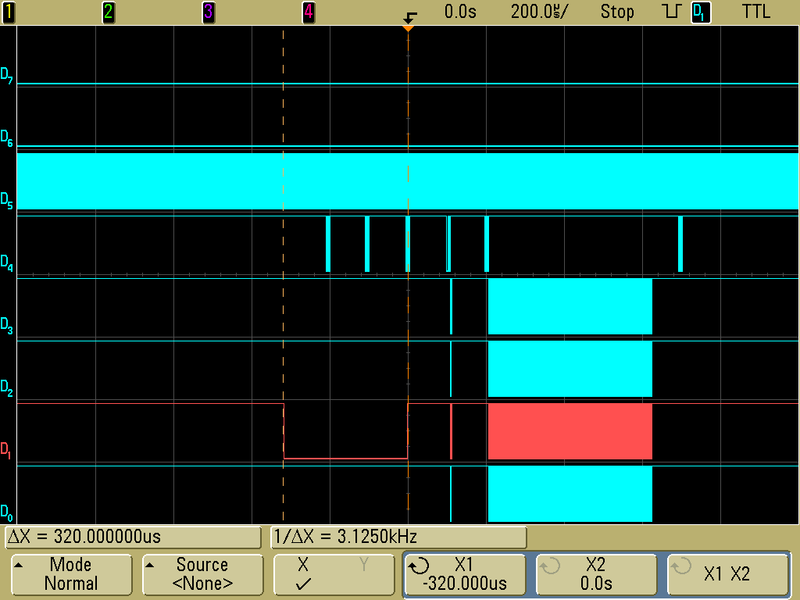 the data transaction on the D0-D3 wires. 5. 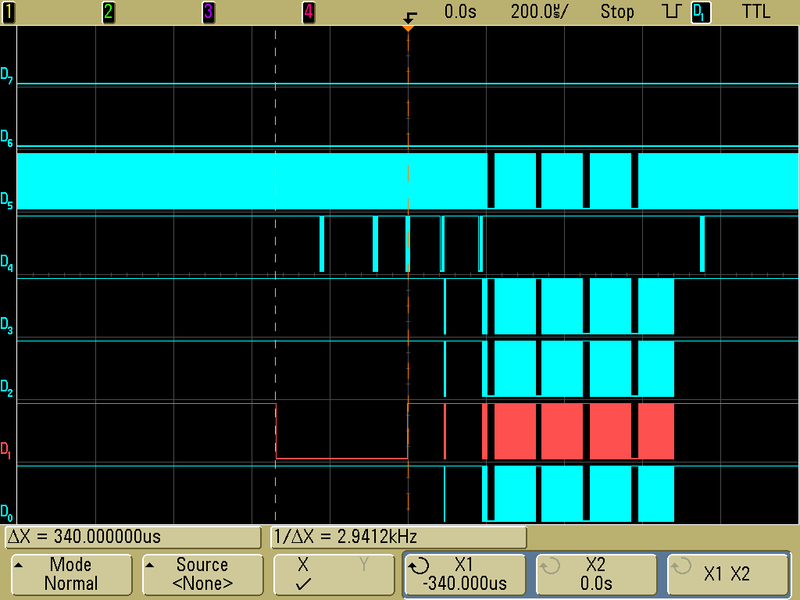 Driver reads the payload which is 2kBytes. 6. Driver acknowledges the packet. scheduling latencies before the pio_tasklet in the s3cmci driver is run. reaches 10 or 20 ms.
looking at the the scope. difference will be even larger. out to be a bit tricky. add a demo driver which shows how to use the asynchronous functions. the latency gets slightly but not significantly better.